When you start a blog, no matter what your niche, you join group of like-minded people. Readers come to read the latest post and other bloggers begin to share inspiration. Over time, readers and bloggers become part of your digital community. 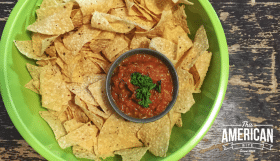 Between the Kosher Connection Linkup, All Things Food and networks of foodie hubs, my digital community have become my foodie friends since I started blogging 14 months ago. I continue to learn from the community and the community continues to grow. When we welcomed our newborn just six weeks ago, our friends and family offered us help with our two year old, sent us food and picked up groceries for us while we adapted to life with a new born, and my foodie friends stepped up and offered guest posts to make sure there was no down-time while things were busy at home. 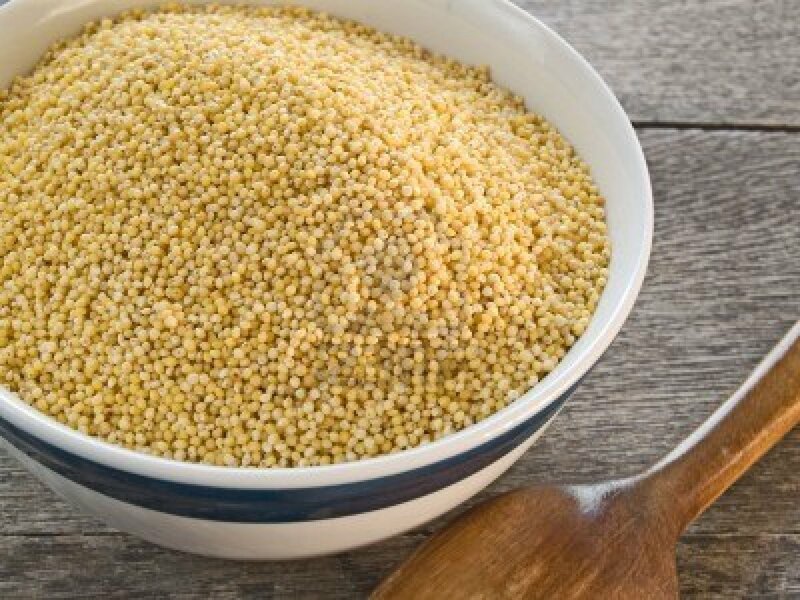 Today, I share a guest post written by Hindy of Confident Cook, a perfect example of a dish that is out of my realm – I am not sure that I have ever cooked with millet, but this millet recipe may open me up to a new world of grain. Now.. over to Hindy! 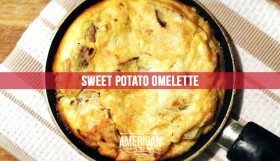 I am so happy to have the opportunity to guest post over here at This American Bite! I am always drooling over Yosef's recipes. As fall comes around and the holiday craziness set in, I am constantly looking for easy dishes that taste good, are good for you and fill you up. I find that main dishes are easy – it's the side dishes that I feel need some more inspiration. 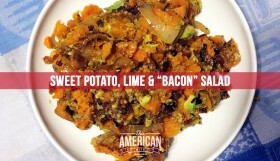 You want a side dish that shines and tastes good, but it should complement whatever your main dishes are. I am always looking for a change of pace. We often have rice on the table. 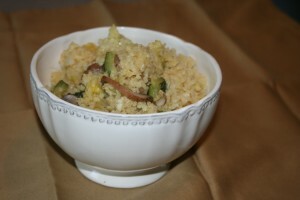 I am often looking to change it up – sometimes with quinoa, bulghur or farro. There's more out there though. I thought back to my summer in Israel. During an overnight hike in the Negev, I remember the counselor pulling out a packet of millet. I had never had it before, let alone heard of it. He cooked it up on a portable burner in the middle of the desert. I don't remember much about the actual flavor of it, but at the time, I remember thinking that it was the best food ever. It got tucked away in some far memory. Every time I strolled through the market, I thought about buying some millet – wanting to get that taste again. I recently purchased a bag of millet for another recipe, and I had plenty left. 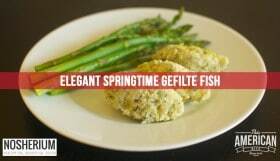 I thought back to my summer in Israel and decided to give it a go as a side dish. 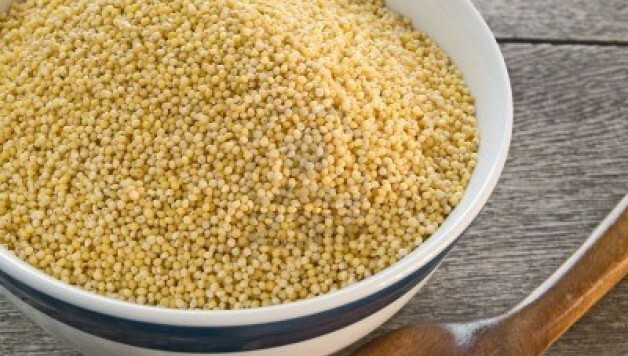 Millet is great as it is a whole grain and along with tasting great, it is gluten free. I turned it in to a pilaf with some veggies. My kids thought it was couscous and were very pleased. Heat up the olive oil in a saucepan, add the onions and cook for a few minutes on medium-high. Add garlic and the millet and stir to coat with the olive oil. Let the millet toast for a minute or two. Add in the other veggies and sauté for two to three minutes. Add in the broth and the thyme and let it come to a boil. Turn down the heat to medium-low and cover. Check every 5 minutes or so and stir. Once all of the liquid is absorbed, spice accordingly and fluff with a fork and you are ready to serve! Do you have a grain you prefer to cook with? Tell me your favorite grain in the comments below.